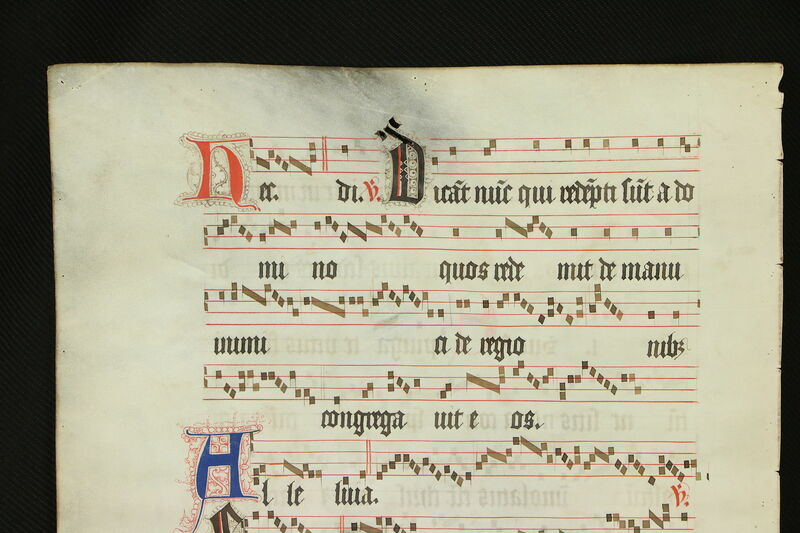 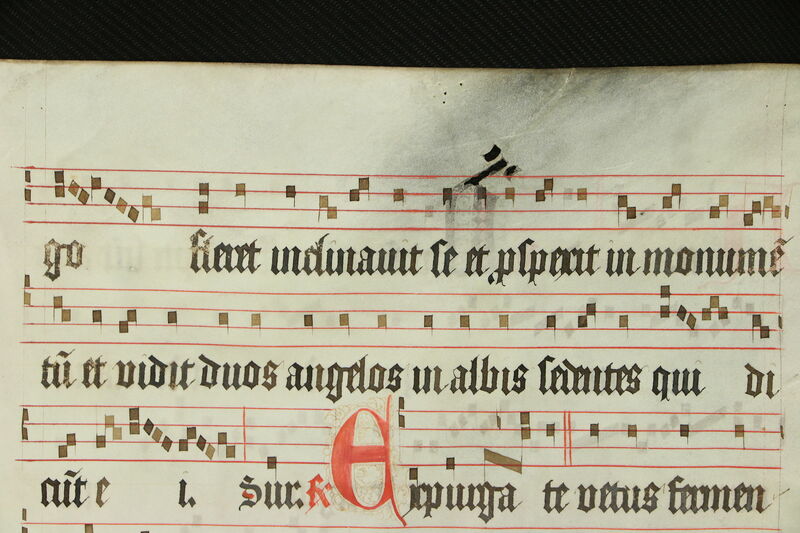 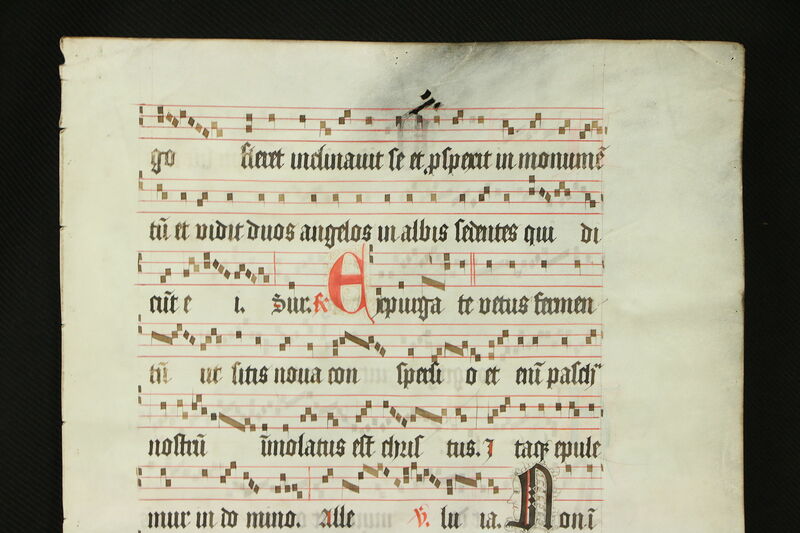 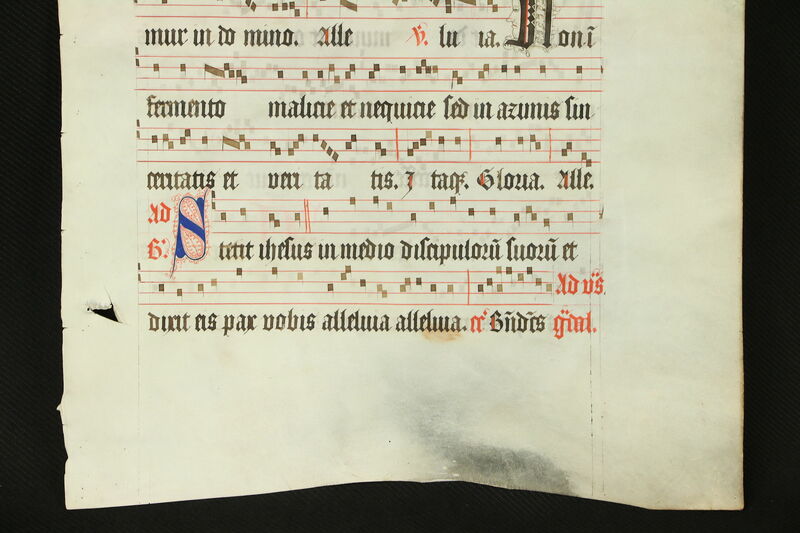 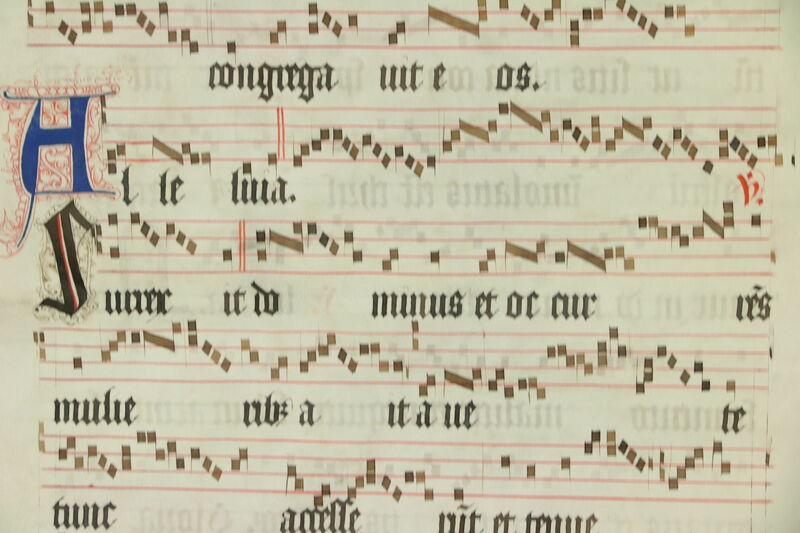 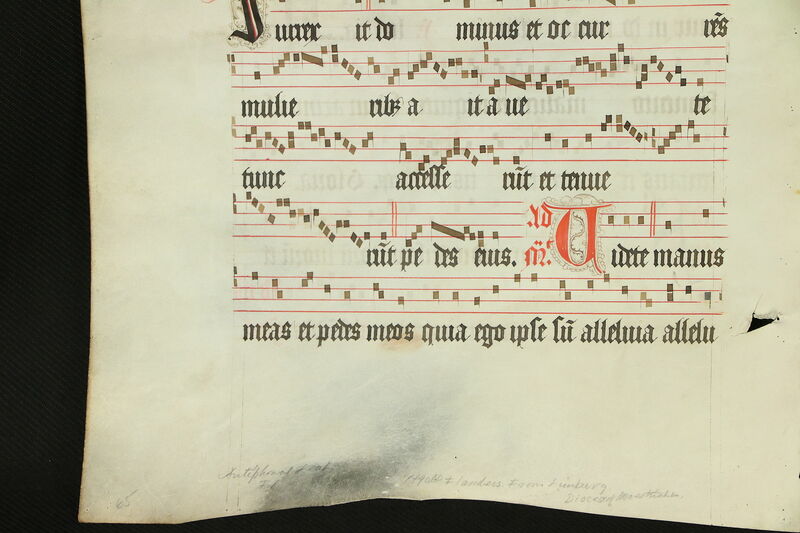 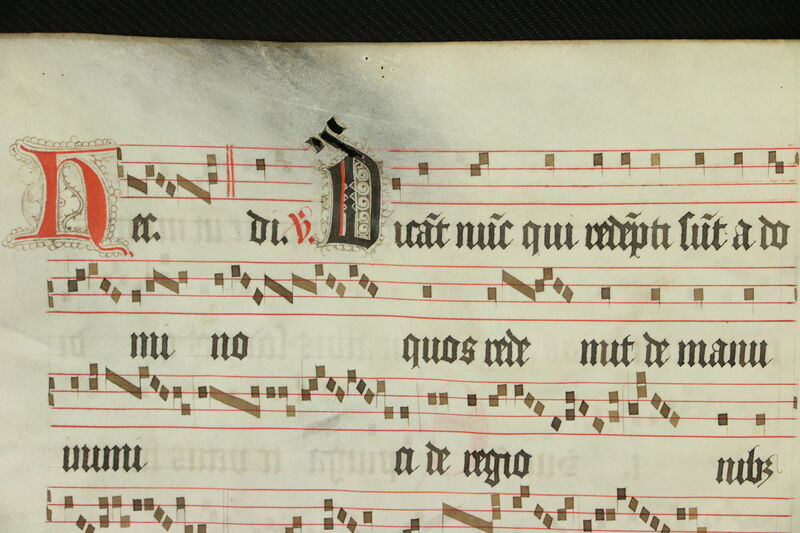 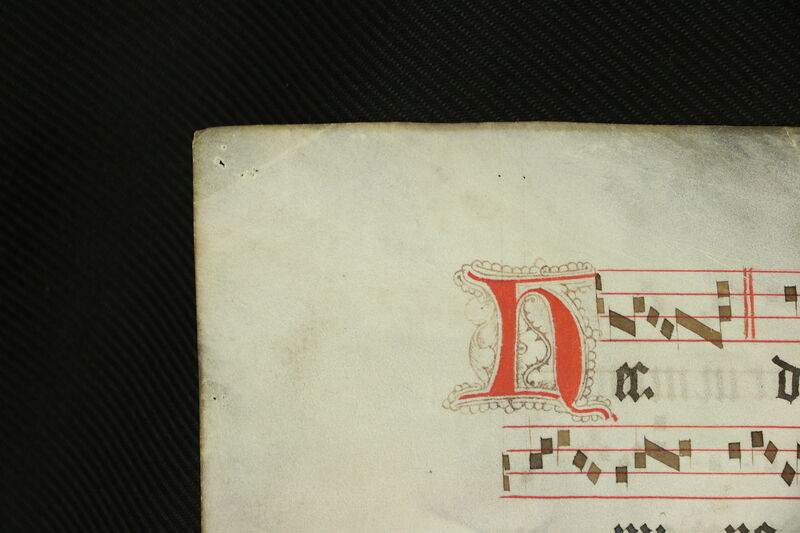 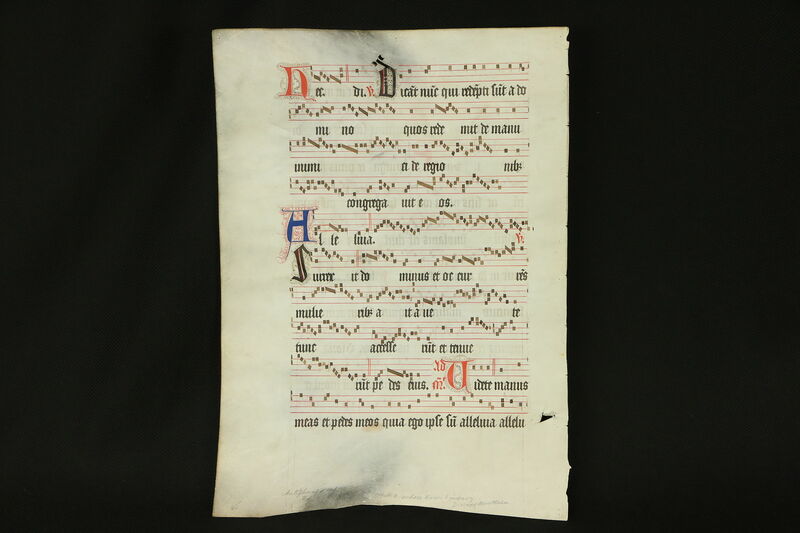 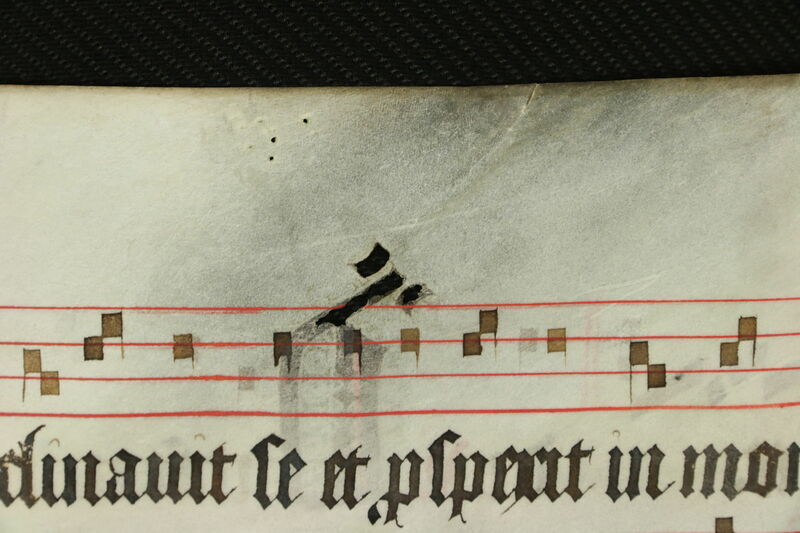 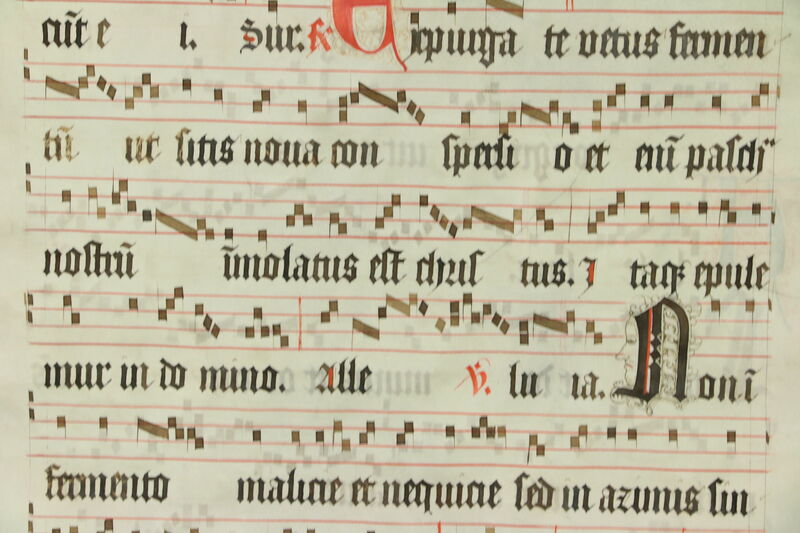 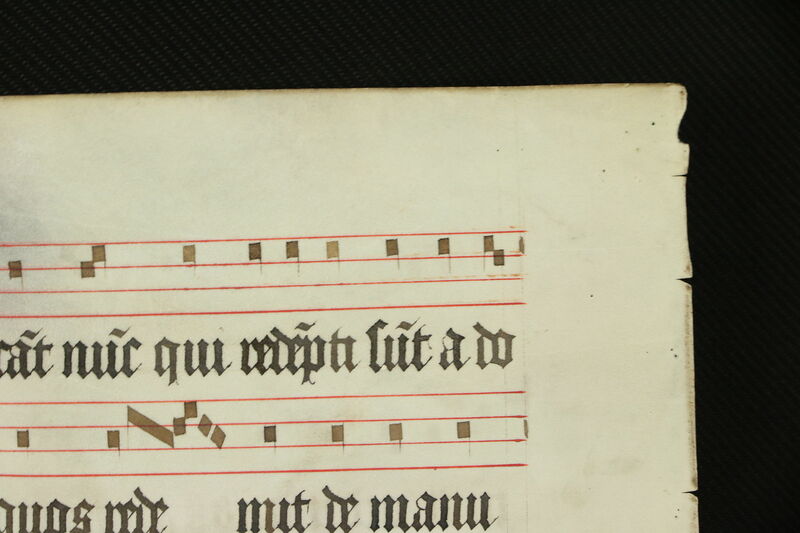 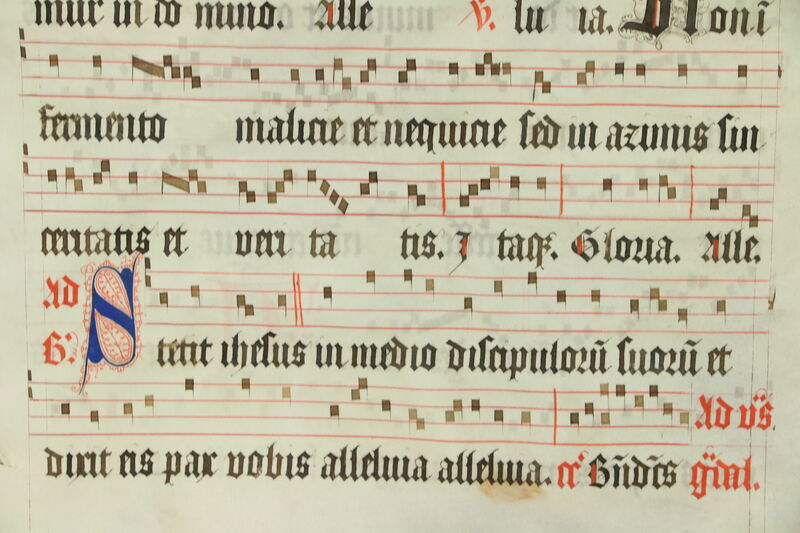 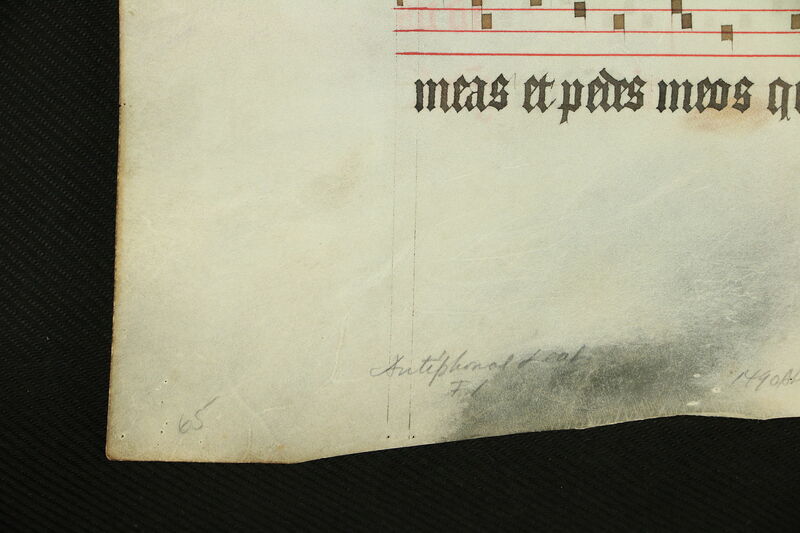 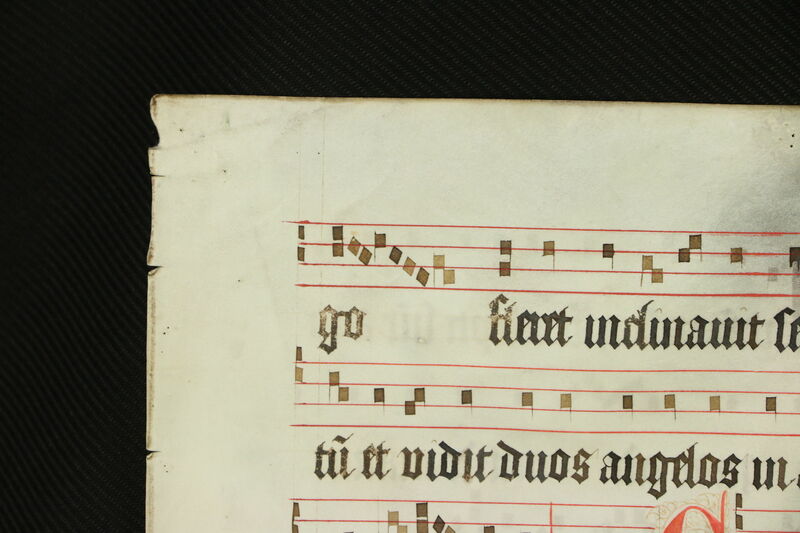 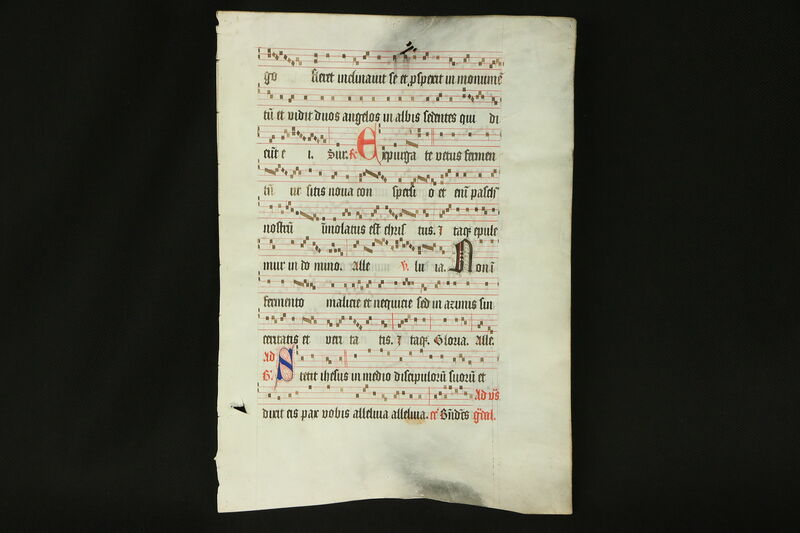 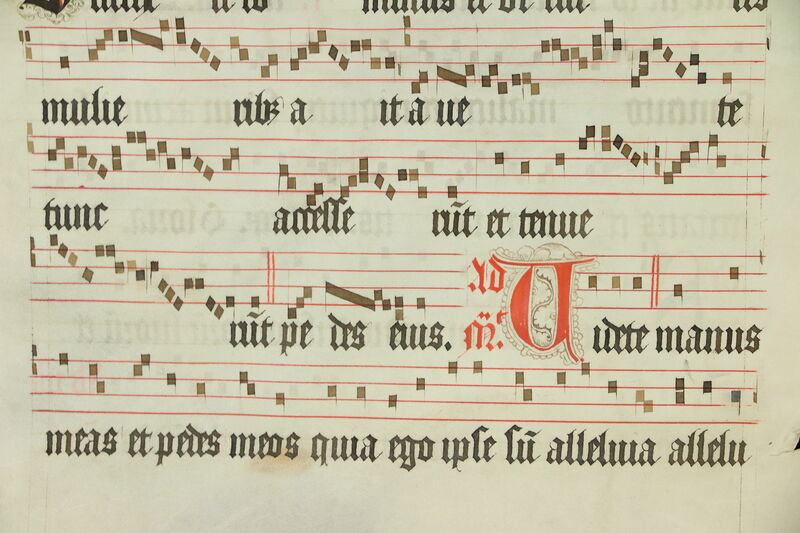 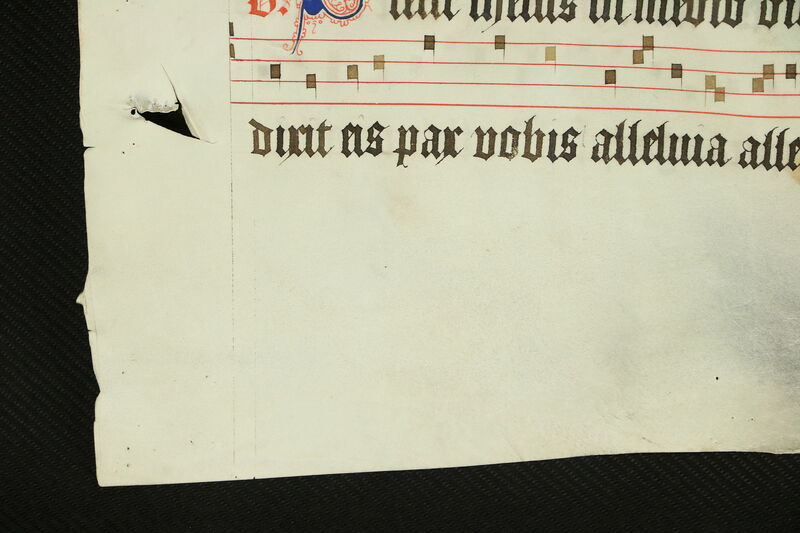 A musical manuscript was hand painted on genuine vellum, later marked in pencil "Antiphonal Leaf, 1490 AD Flanders from Limburg Diocese, Maastricht," Holland. 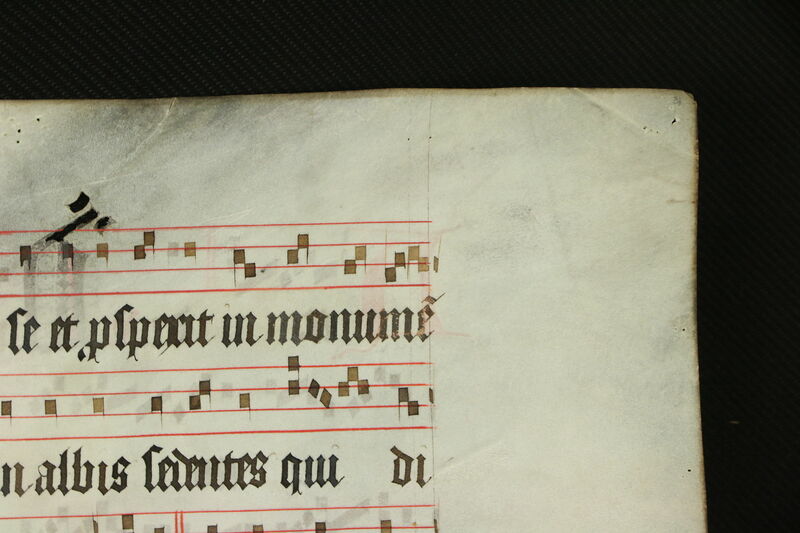 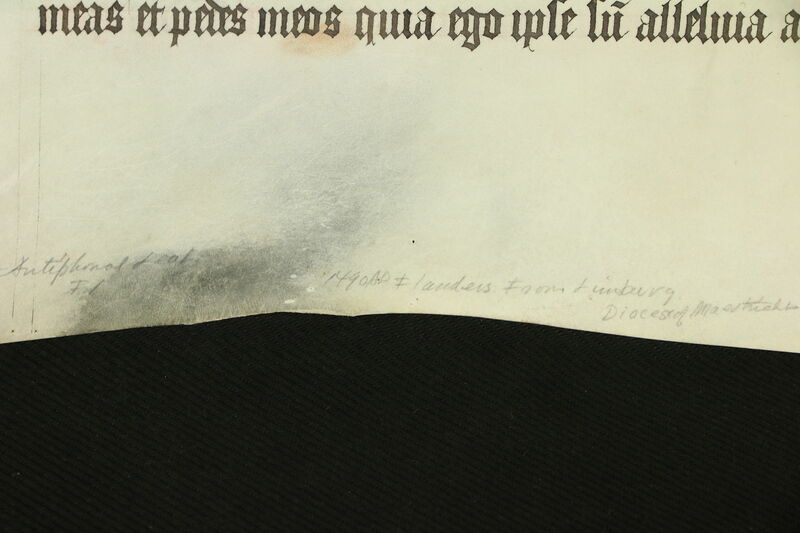 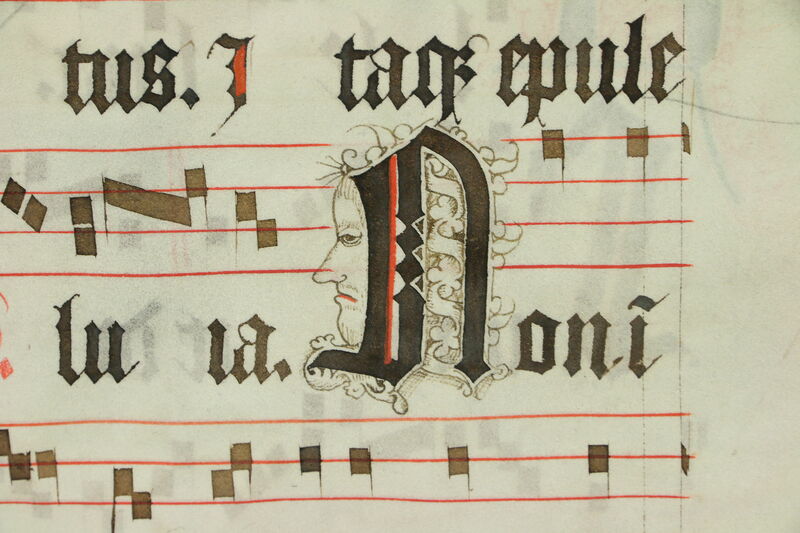 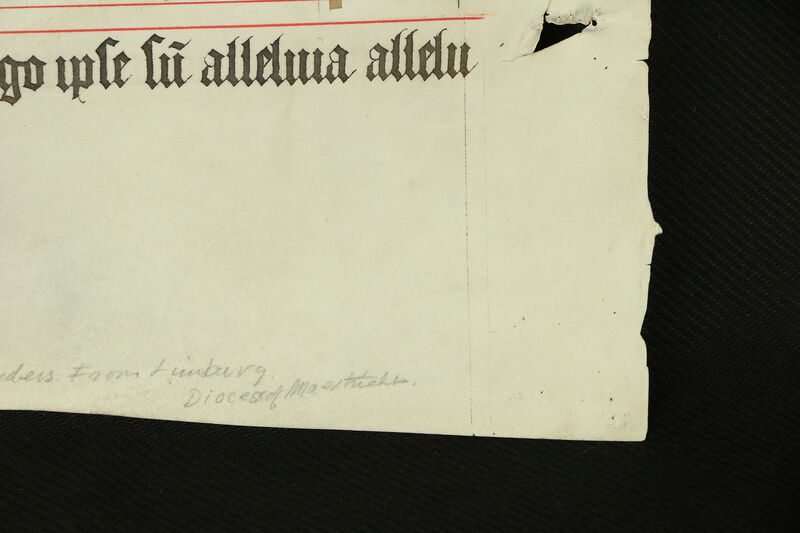 The Latin words are beautifully painted, there is a score on both sides, and there are holes as shown. 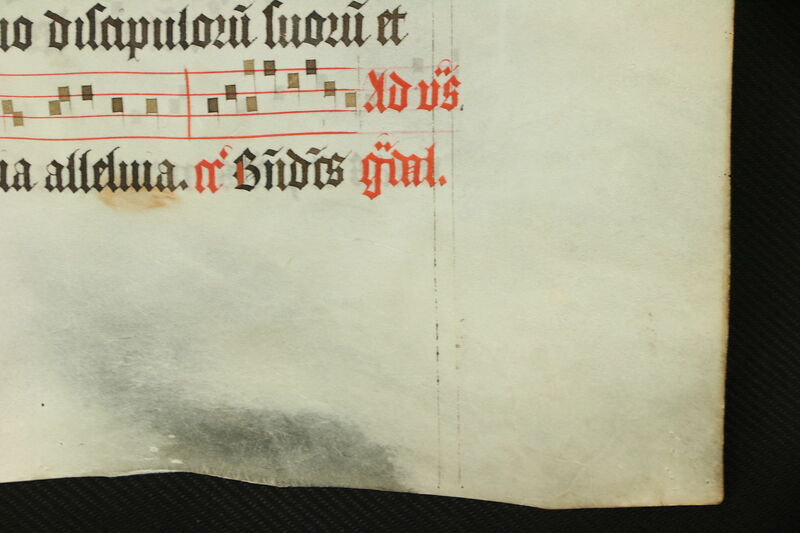 Size of this antique leaf is almost 16" x 22."